Luweero Anglican Diocese has directed priests not to contest and participate in the forthcoming Village Council elections, saying it might split their churches. 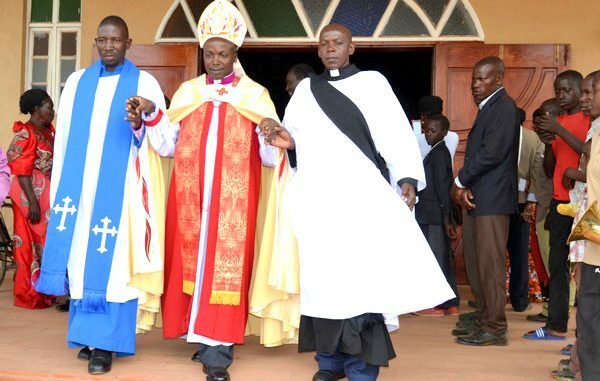 The Bishop of Luweero Anglican Diocese, Elidad Nsubuga Kironde issued the directive on Sunday shortly after ordaining priests at St Mark Cathedral church in Luweero town. Those ordained include 30 lay leaders who are still on probation, 17 were confirmed as lay leaders, 3 deacons and one parish priest. In his speech, Bishop Nsubuga warned the priests against contesting in the LC 1 elections, saying those who want to should resign from priesthood. He also warned the priests against voting in the polls, arguing the mode of voting by queuing behind candidates is inappropriate and may split the church. He said that some candidates may see priests as traitors if they don’t stand behind them during the voting. The ordained priests and Christians agreed with the bishop’s directives. Livingstone Wasswa, a lay leader in Nkuzongere Church of Uganda in Nakaseke, said the bible calls for equal treatment of all Christians and asked priests to stay from divisive politics. 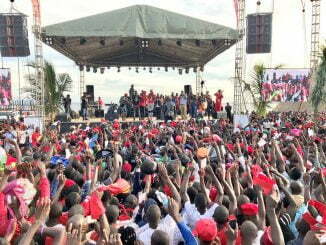 Wasswa said the church welcomes the polls, but he will skip it because he can’t queue behind any candidate something that may cause other candidates to hate him. 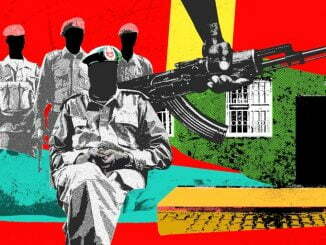 Bernard Ssenyonjo, a lay leader from Kalungi Church of Uganda in Nakasongola, said he took oath to only serve God and doesn’t want to pay allegiance to earthly leaders, saying he will skip the elections. Absolom Bwanika Bbaale a member of St. Mark Cathedral said that the LC I elections will not only create disunity in church but in communities and families. Other Christian said the queueing behind a candidate voting system may cause the leaders to deny them services, saying they won’t participate in the polls. Electoral Commission chairperson, Justice Simon Byabakama defends the mode of voting, saying it promotes transparency in elections. EC had planned to hold the LC I polls in November this year. However, a group of under a pressure group dubbed the “The Alternative” dragged the Commission and Attorney General to the High court seeking orders to suspend the elections on grounds that the purported mode of conducting the polls is a threat to fundamental human rights. They argue that the mode of queuing behind candidates is an infringement on the right to a secret ballot, voter integrity and fair elections as voters will be exposed to intimidation and manipulation. James Tweheyo, the secretary general Uganda National Teacher’s Union (UNATU) also filed a petition before High court challenging the conduct of elections without including students. Justice Steven Musota issued interim orders, which will remain into force until January 30, 2018.